North Central Florida art festivals, art shows, folk festivals and other outdoor events are among the most enjoyable things you can do. In this part of the state they take place in Tallahassee, Gainesville, Cedar Key and many other towns. I have attended hundreds of these festivals over my years in Florida, and have enjoyed every single one of them. Most of the stuff from my modest Florida art collection was purchased at Florida art shows. Many of my music CD's were purchased at Florida festivals. 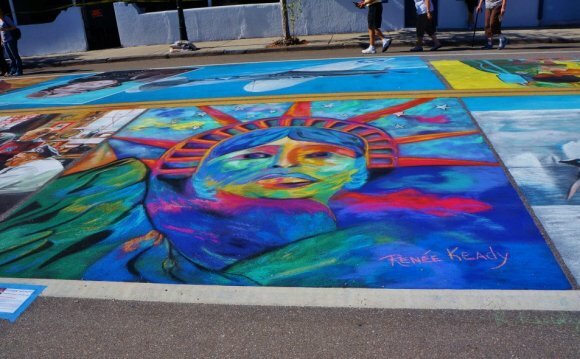 This is a partial list of annual North Central Florida art festivals, art shows, folk festivals and other outdoor events arranged by month and weekend within the month. Winter Fine Art Fair @ Tioga - Gainesville. North Florida Fine Arts Festival - Lake City. Santa Fe Community College Spring Arts Festival - Gainesville. Sunday Afternoon With The Arts - Marianna.